The triumph king with liftable storage bed from the house of nilkamal is the latest range of bedroom products to offer style with comfort. The triumph king size bed are minimalistic in design but are comfortable and sturdy. It comes in dark brown color. The frame is made up of MDF and the final touches are given by the foil lamination with melamine finish. The bed also comes with full liftable storage, where you can stock up your stuff which is not in use at that point in time. The leather upholstery at the headboard also gives a trendy look to the bed. 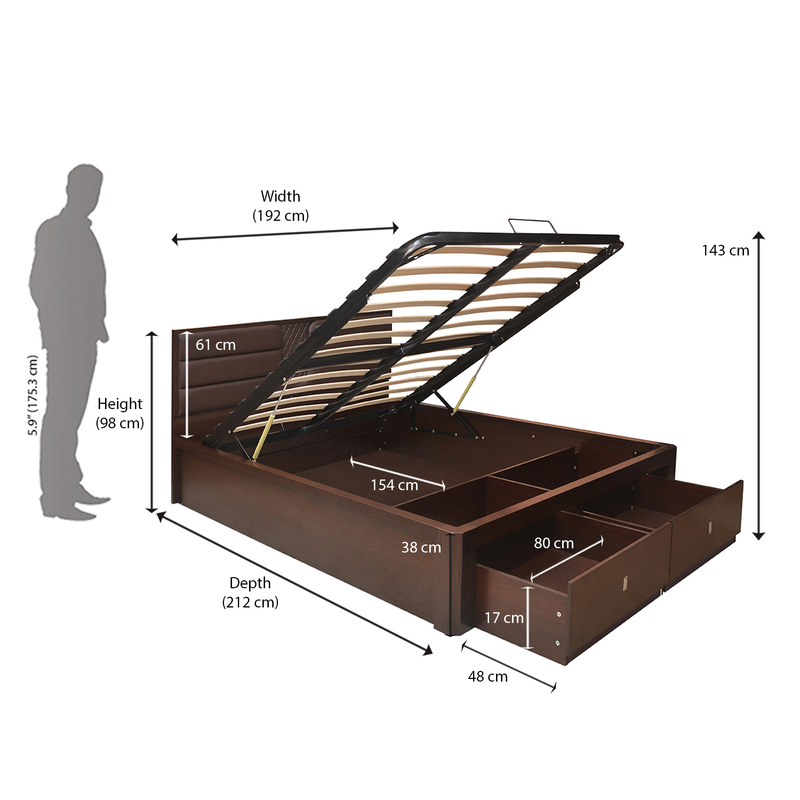 The triumph king size bed comes in dark brown colour and can be used in home, hotel or resort . It is in the range of recent product from the house of Nilkamal. It is both reliable and sturdy. The king size bed is checked for its reliability and durability before going for sale.The mattress also offers comfortable cushioning which helps you to sleep tight and sound. It adds an amazing look to the home decor. You can shop for this amazing product from @home and get the best you can ask for.